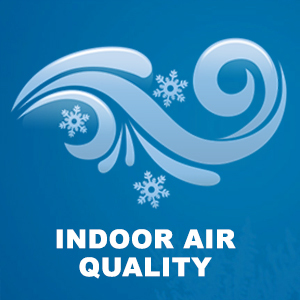 Indoor Air Quality and why it’s important! Is there a moisture problem within my home? Has there been a recent flood or water damage inside my home? Do I change my air filters in my HVAC system regularly? What type of pollutants to I want to eliminate? Does my home have adequate ventilation? Am I willing to install new equipment to improve my indoor air quality? Is my home properly insulated and sealed? Do I have more than one indoor pet with fur? We would be happy to have our indoor air quality technician visit your home for a full consultation. Just call (772) 266-2665 for more information. Below are common questions we experience with our customers. Why should I be concerned about moisture control? Controlling the moisture and maintaining adequate ventilation in your home are critical to improving your indoor air quality. When you have excess moisture in your home, it can cause harmful mold growth, and make it more difficult to breath. Lack of ventilation can exacerbate moisture problems because there’s no air circulation, which helps to evaporate moisture in the air. This is why it is important to have your HVAC system checked once a year; many heating and air conditioning systems include some type of dehumidifying device to help maintain comfortable temperatures. Should I install an air cleaner? While there are many ways to improve the air quality inside your home, installing an air cleaner can greatly affect your indoor air quality. Depending on the types of pollutants you want to target, you will want to either install a mechanical or electronic air cleaner. We offer a wide selection of air cleaners and can help you choose which model is best for your needs. Keep in mind that mechanical air cleaners are less expensive and easier to maintain but that they only filter out the more common particles. Electronic air cleaners are better at trapping smaller particles, but they tend to be more expensive upfront. You can install both for more protection, and you may want to install a UV germicidal light for the ultimate indoor air quality system. 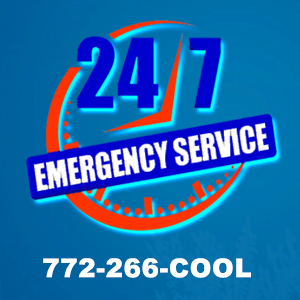 Call us any time to discuss the air cleaners and UV lights that we offer. There are several approaches to improving your home’s indoor air quality. Proper ventilation, moisture control, and targeting pollutants with technology are the most effective ways to improve your air quality. Many homeowners choose to install a mechanical or electronic air cleaner, while others install both an air cleaner and a UV germicidal light for ultimate protection. Allergies and other health conditions can be exacerbated by pollutants in your home, so you will need to choose a system that best fits your purification needs. We can help you choose the right system for your home while staying within your budget. Air purification systems range both in quality and price. When you call us, we will discuss all of your options with you and suggest the system that works best at removing the contaminants that are causing your indoor air quality problems. Filtering allergens is just one approach to improving indoor air quality. You may also wish to target biological contaminants, such as bacteria, mold and viruses. UV germicidal lights are the most effective way to kill these pollutants in your home. When installed in your ventilation system, the ultraviolet lights will destroy any harmful airborne pathogen that cannot be filtered with other methods or technology. Toxic mold growth is a serious health threat that should be taken care of at the source. Moisture control and proper ventilation are long–term preventative measures, but if your home has been exposed to mold growth, it may be a good idea to install a UV light to help protect you once the mold has been removed. Mold can grow quickly, and it reproduces by releasing spores that are circulated throughout the air inside your home. UV lights can help to prevent future mold growth, in addition to installing dehumidifiers and ensuring that your home has adequate ventilation. Routine maintenance for your residential HVAC system can improve indoor air quality because it helps reduce the circulation of contaminants through your ventilation system. As long as you change air filters regularly and clean the accessible components of your system, you can help keep your indoor air clean. Always have repairs done as soon as you notice a problem. You should also schedule an annual maintenance visit with one of our technicians to ensure that your system is running safely and efficiently. A professional cleaning during these check–ups will help keep your ventilation and duct system free of dust, pet hair, and other allergens.